A safer garage for your bike! “And what if the bicycle is parked in a garage, instead of on the street?” Last week we left with this question. The answer is simple: parking a bicycle in the garage is a good idea, providing the door is sufficiently secure. Is yours? 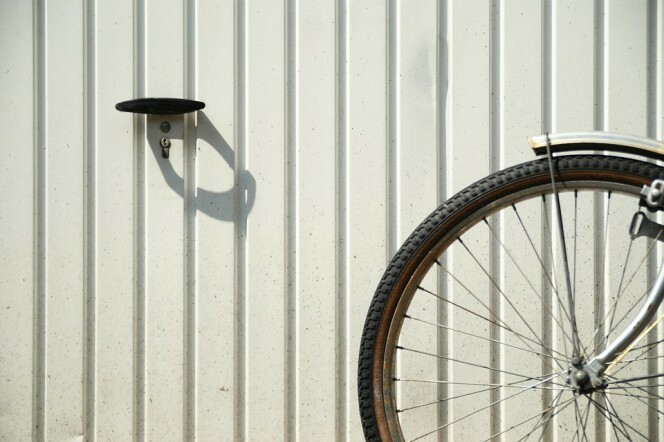 Parking the bicycle inside your garage might at first seem like the best solution to keep it protected. However, this is not always true. 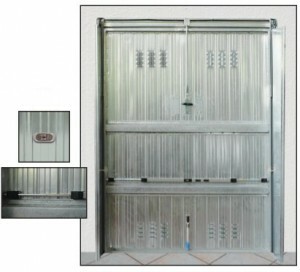 In fact, the locks originally installed on garage doors do not usually provide an adequate level of security. Standard locks have a poor resistance to pulling and drilling, and do not adequately protect the door against breakage or lifting with a crowbar. 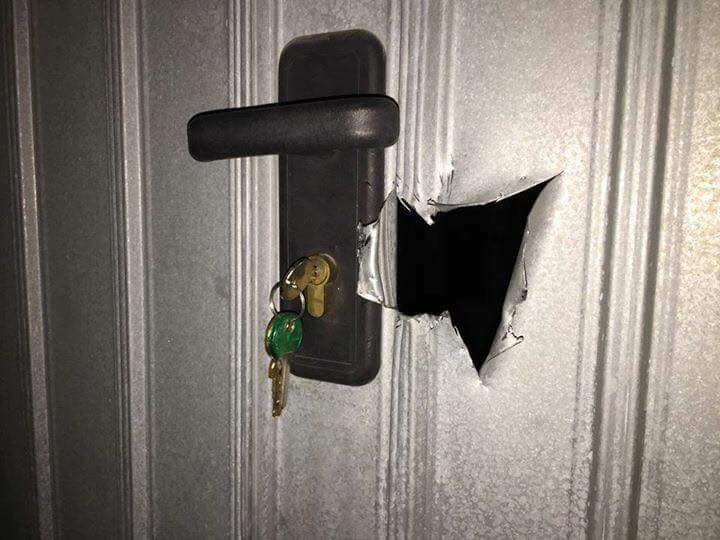 In many cases, however, the main reason for the thefts lies in the weakness of the doors (made of very thin sheet metal e.g. 0.6 mm or 0.8 mm). 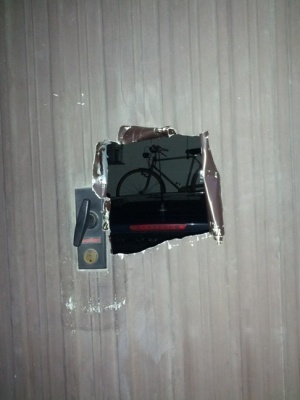 The items stored in garages, especially, for example, racing bikes, are often even more valuable than many other items kept in the house and thieves are aware of this. For this reason, it is always worth taking adequate security precautions, especially to reinforce the garage door. Let’s see what they are. 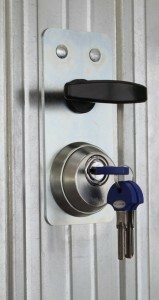 There are several solutions to replace a standard lock with a more secure locking system. Three possible solutions are described below. 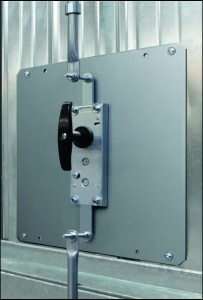 The second solution is to purchase armoured locks (e.g. 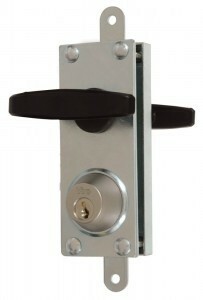 Viro series 1.8234 and 1.8252) which provide multiple locking points. This distributes over several points the force caused by an attempted break-in or lifting and it counteracts the action of crowbars on all sides. 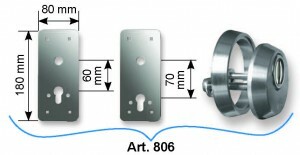 You can also achieve a good level of security on the cylinder by armouring the lock, for example with the type 806 security escutcheon. Finally, a third solution, which makes the presence of an armoured lock even more effective, is to install additional accessories to enhance the overall security of the up-and-over door and the locking system already installed. This entry was posted in Locks and Cylinders and tagged products, technology, tips on 28 May 2017 by calessandrini.